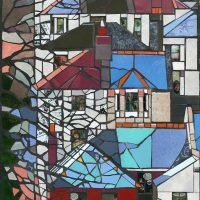 Emma Harding’s mixed media mosaics explore the potential of this medium. 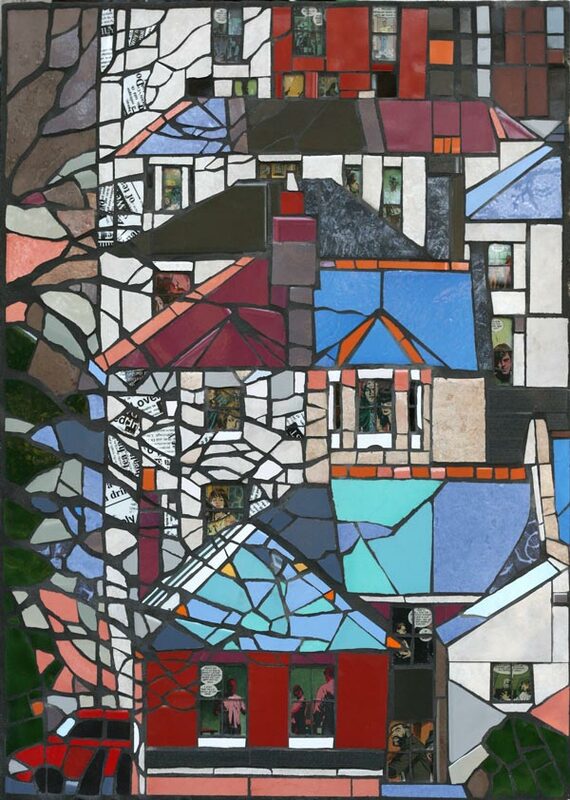 This exhibition focuses on the architecture of St Leonards, sometimes broken up and abstracted by trees and revealing colourful characters in the windows. The tangle of tree branches are further explored as a metaphor for the tangles of the mind. 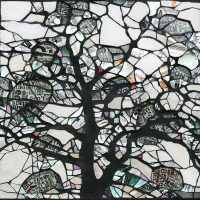 Small glass collages explore issues with quirky found imagery. 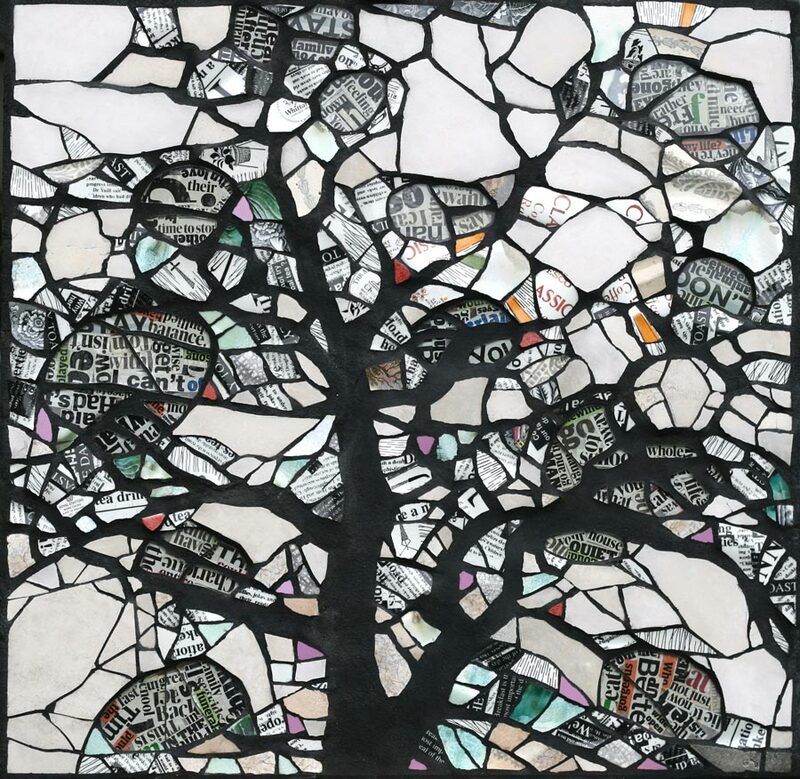 Susan Elliott’s work is made out of tourist mementoes and souvenirs. Scouring the second-hand shops of seaside resorts and car boot fairs for her materials, the kitchen crockery, novelty mugs, and figurines that she finds are combined with more traditional mosaic tesserae to create quirkily beautiful, multi-faceted and iconic pieces. The end piece of work created is determined in large part by the materials found which often inspire the theme of a subject. 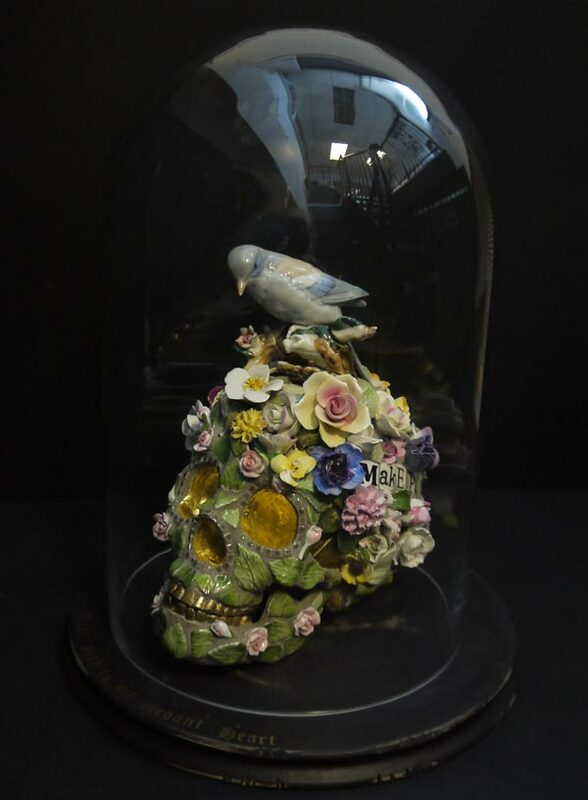 Each piece is crammed full of many individual pieces of ceramic from an extensive selection of Susan’s compulsively collected treasures. 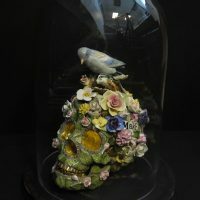 For example the ‘Green Man’ series of life size, resin human skulls are covered with ceramic flora and fauna, playing with the idea of Natural History and the archiving of specimens from nature.